Oracle of Space opens October 25th at Gallery 151. On View from October 25 through November 1, 2014 at Gallery 151. 132 West 18th Street, New York, NY 10011. Please contact Edward Daniel at edward@wallplay.com for all inquiries. 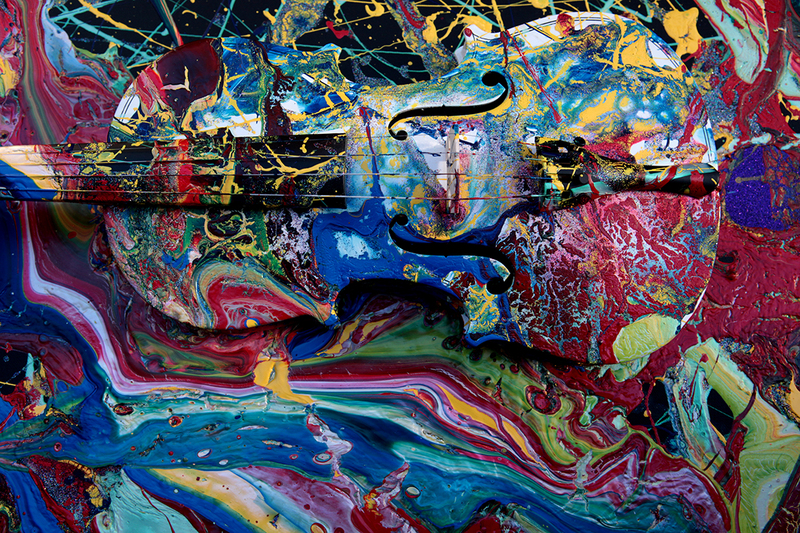 Now, at the age of seven, Aelita Andre is returning to Chelsea New York for her fourth New York solo show at Gallery 151, launching her captivating “sound-paintings” exhibition – a new collection of violin on canvas works and paintings. Thematically her new exhibition explores and embodies her passion for all things related to the cosmos – the orbit of the planets, stars and galaxies and our place in the universe. 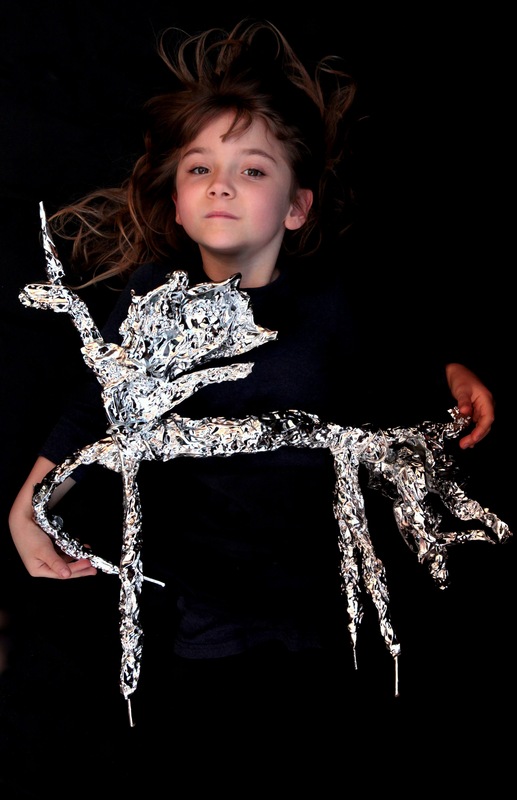 Central to the new exhibition and being unveiled for the first time is Aelita’s first ever sculpture – a metallic chrome unicorn, created when she was just six years old, naming it, “Space Oracle”, specifically proclaiming Manhattan with its skyline of spires as the ‘city of unicorns’. 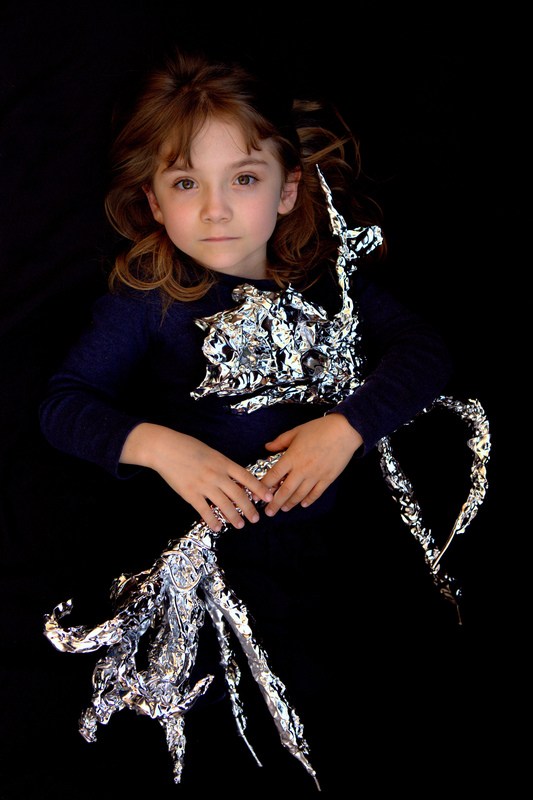 For Aelita Andre the unicorn is the heart of her new body of work and for her a powerful mystical interface between the twin realms of the cosmos and humanity as the ethereal interlocutor. 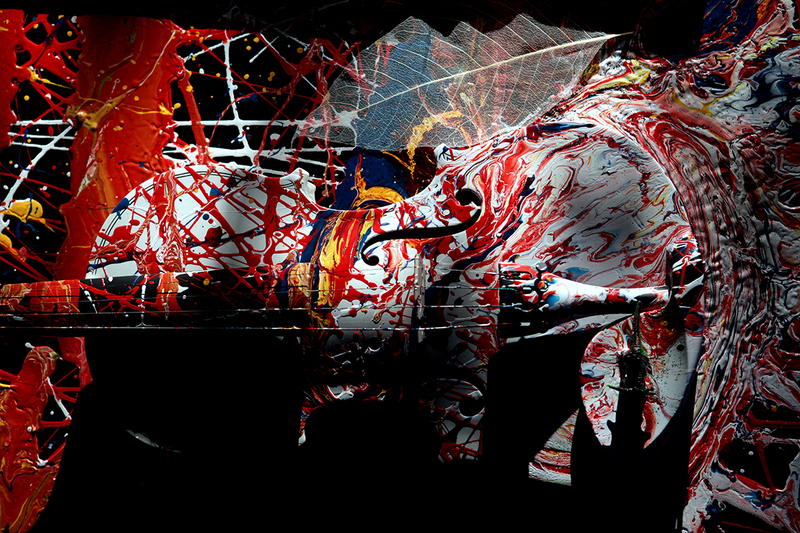 Aelita takes the violin bow and, drawing it across the painted violin strings, coaxes eerily beautiful otherworldly music from the utterly transfigured baroque instruments, transforming the exhibition space into outer-space, inventing the term, “playing a painting”. 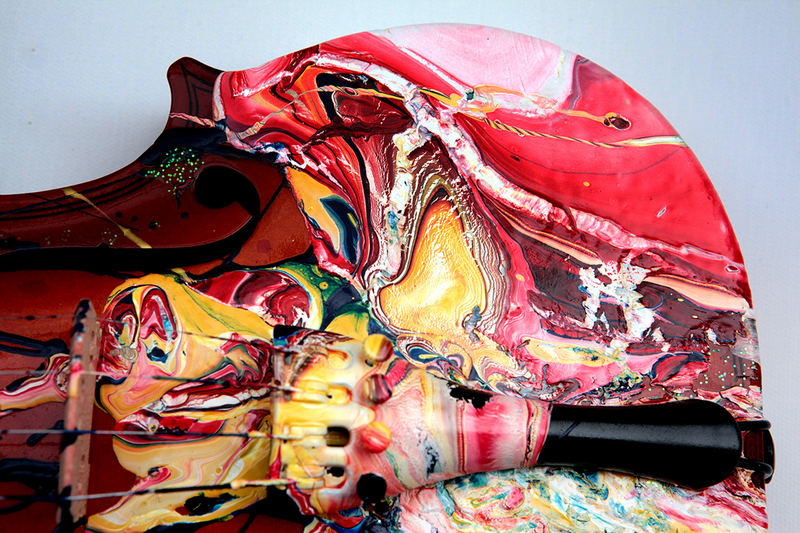 The works themselves are ‘musical’ – the exuberant colours; harmonies of rhythm; the splashes of paint a crescendo – all conspire to create a portal into the artist’s universe of swirls and splashes, glitter and globules. The beauty and audacity of the works is uplifting and awe-inspiring. 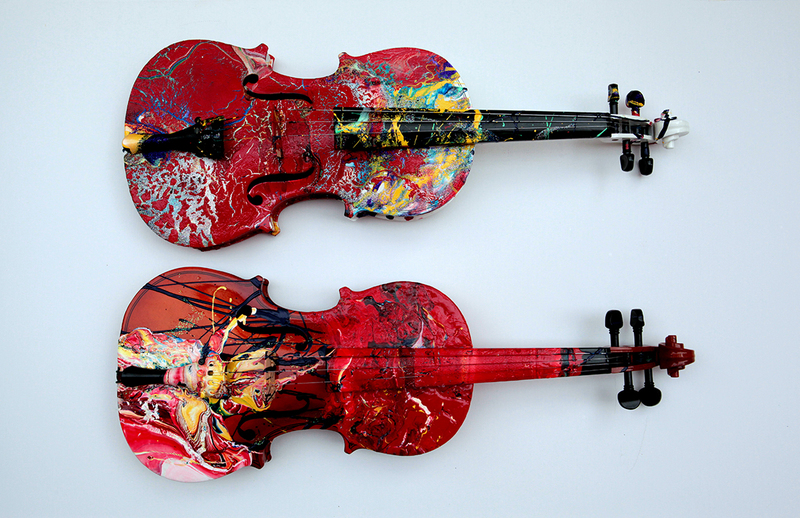 For Aelita her processed violins become her expression of the voice of planets, stars and the universe. She shuns all conventional uses of the violin instead exposing the soul of the instrument’s inner voice. 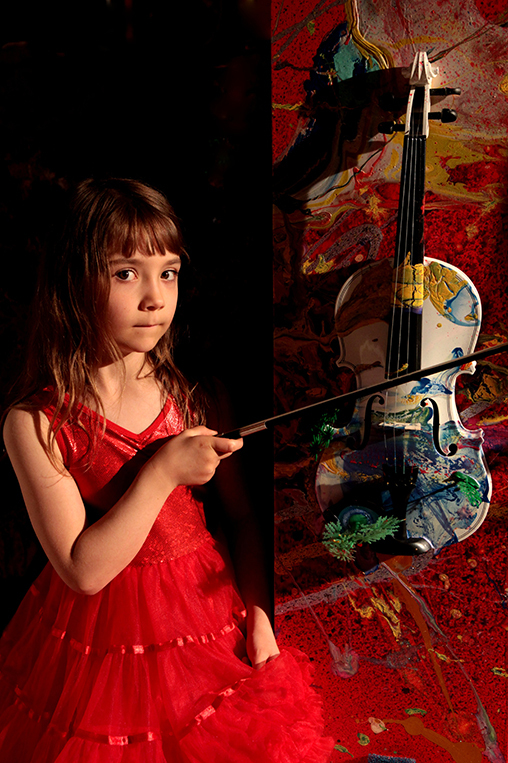 Aelita Andre then asks onlookers at the exhibition to actively participate by playing the violin and finding their own voice. More than any other instrument the violin ‘sings’ in the most ethereal unearthly way. Following a sell out show in New York and highly successful exhibitions in Hong Kong, London, Italy and Australia, Aelita Andre has garnered international press and established a significant and passionate global collector base. 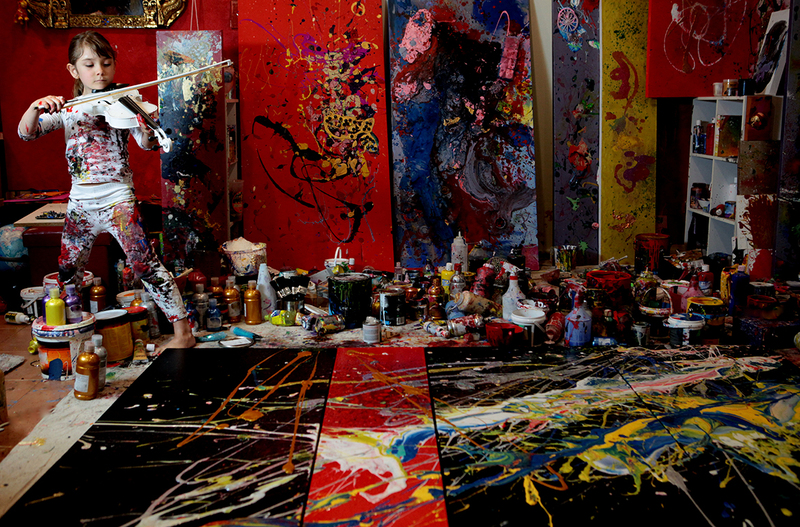 Recognised around the world as a prolific artist and an authentic voice of abstract art, Aelita Andre expands the boundaries of contemporary abstraction – an astonishing achievement for any artist but made all the more incredible by virtue of the age of the artist – a child.